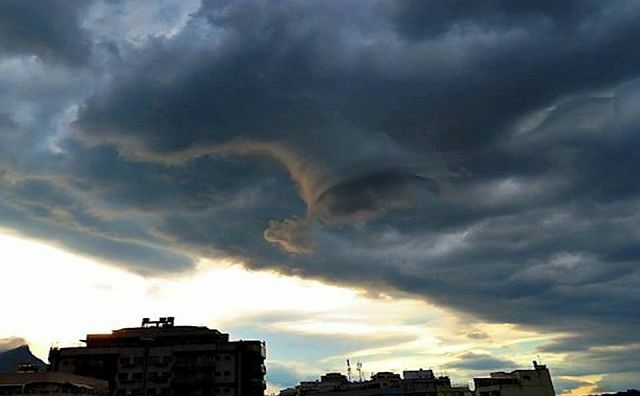 Alien Spaceship moving out of funnel cloud? A UFO emerging from a cloud or arriving via a wormhole, this may be true but there is a more logical explanation for what photographer Helio C. Vital from Rio de Janeiro captured on February 7, 2017. 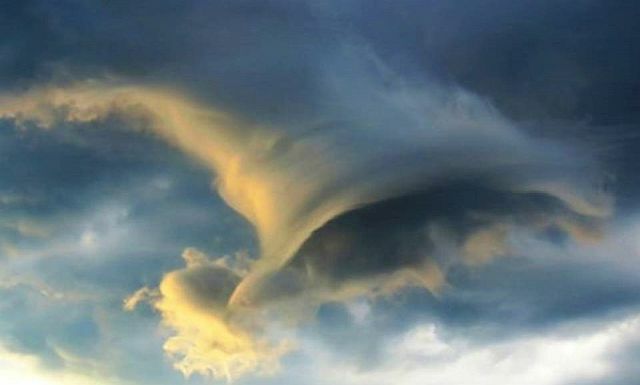 Meteorologists call this type of cloud a ‘tuba’ - a swirling mass of moist air that can hang down from an active thunderstorm. A tuba that touches the ground gets a new name: tornado, said spaceweather. This tuba which appeared about a half hour before sunset was part of a thunderstorm cell that was approaching. Fortunately this tuba did not reach the ground.